Bold, bright and brilliant, this striking rug has a real wow factor. In beautiful busts of colours, the Celestial Rug CES01 SEAGL provides an update on more traditional rug designs. With a mixture of bright and bold colours, balanced with darker tones, this rug is energising and exciting, making any room that you place it in feel the same. 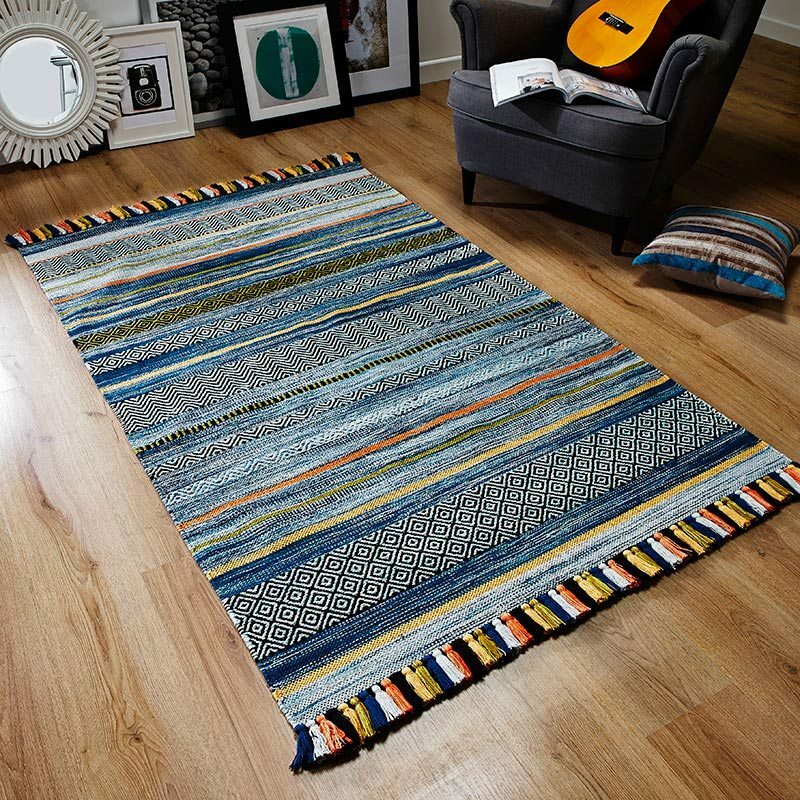 Made from Polypropylene and power loomed, this high quality rug is a real statement piece. The bold design looks slightly worn in places to give it that vintage feel, while the bright colours brings the design to life. Perfect for adding a splash of colour on a whole other level, this rug will be a real talking point when guests first step into your home.